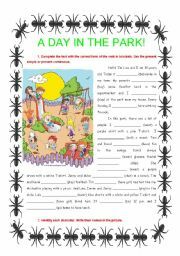 This is a useful worksheet to practice with the distinction between the Present Perfect and Past Simple tenses. 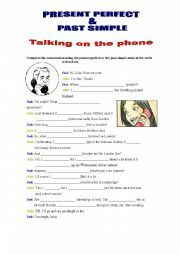 The students will have to complete a conversation on the phone between a father and his daughter.My students found it useful. I hope you will, too!!!! 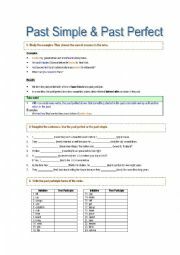 It´s a useful worksheet with exercises related with the use and formation of both tenses, the PAST SIMPLE and the PAST PERFECT. 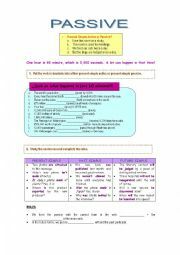 Moreover, there´re some exercises related to pronunciation of the -ed ending of the regular verbs. I hope you´ll enjoy it!!!! 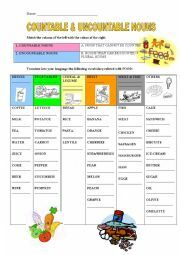 This worksheet contains a diagram with basic vocabulary related with people´s physical description. 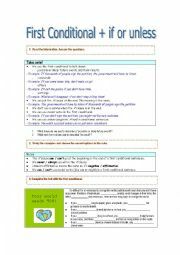 This worksheet part I contains interesting and useful exercises based on the formation and use of the Present, Past and Future Passive. These two worsheets part I and II deal with the Passive voice in the context of objects and inventions. 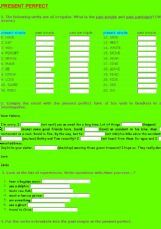 It´s a useful worksheet with varied exercises to practice the use of SO & SUCH. It´s been very productive for my students, I hope you´ll also enjoy it. This worksheet part II contains interesting and useful exercises based on the practice and consolidation of the Passive. These two worsheets part I and II deal with the Passive voice in the context of objects and inventions. This worksheet contains a table which clearly explains the use of the imperative and the use of let´s. There are also useful exercises to practice, always in the context of "Saving the planet". I hope you´ll like it!!!! It contains useful exercises to study the past simple and participle forms of some irregular verbs and also some exercises to practice with the present perfect construction of verbs. These are some good exercises to practice with prepositions of place at the same time students learn some household items. Hope, you´ll enjoy it! 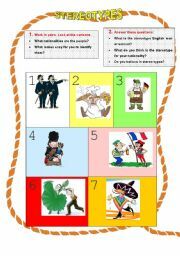 After watching a video about sports and hobbies, students have to do some free choice activities to check their understanding.